How can Educators incorporate puzzles in the classroom? Puzzles play an important role in creating a cooperative and collaborative learning environment. 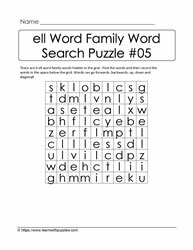 Educators can provide word search puzzles such that students need to work collaboratively to find hidden words in a grid. 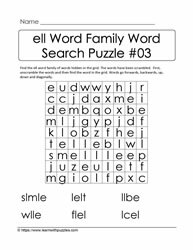 This category of ell word family and rhyming words brain teasers gives students an opportunity to consolidate their understanding of this word family. 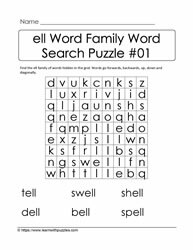 The first set of word search puzzles is your basic word seek brain teaser. 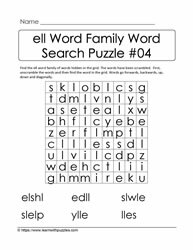 Students use the list to find the words hidden in the grid. 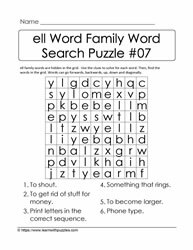 The next brain teaser challenge requires students to first unscramble the letters before locating the words in the grid. 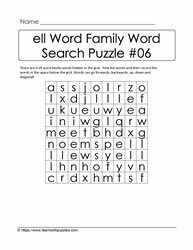 The next word search brain teaser requires students to use foundational knowledge to locate words hidden in the grid, and then record the words in the space provided. 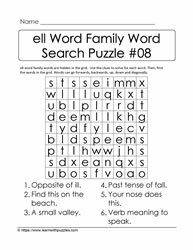 The last category of word search puzzles require students to solve crossword like clues. 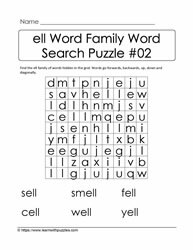 Have students record the answers to the clues before trying to find the words in the grid. Using puzzles to introduce and support basic vocabulary building fosters a cooperative and collaborative classroom as students engage in a fun activity while learning at the same time.